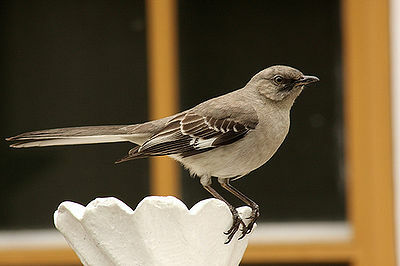 Mockingbirds can be found in the United States, Cuba, Mexico, the Antilles, the Galapagos and the Bahamas. 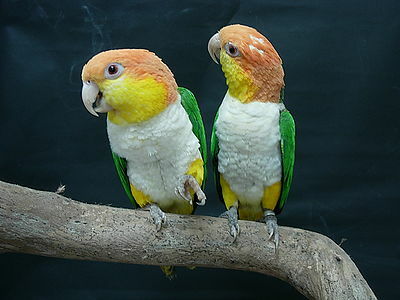 They are the state bird of Texas, Tennessee, Mississippi and Florida. 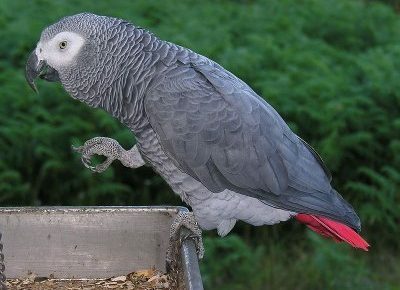 They were popular as caged pets in the 18th and 19th centuries (see Thomas Jeffrson) and are experiencing a revival now. Mockingbirds weigh about 50 grams and are 9 inches long. Their lifespan is about 8 years. Mockingbirds are omnivorous and their diet consists of insects, berries, earthworms, crustaceans, small lizards and fruit. Mockingbirds have beautiful singing voices. But it is best to keep them uncaged. 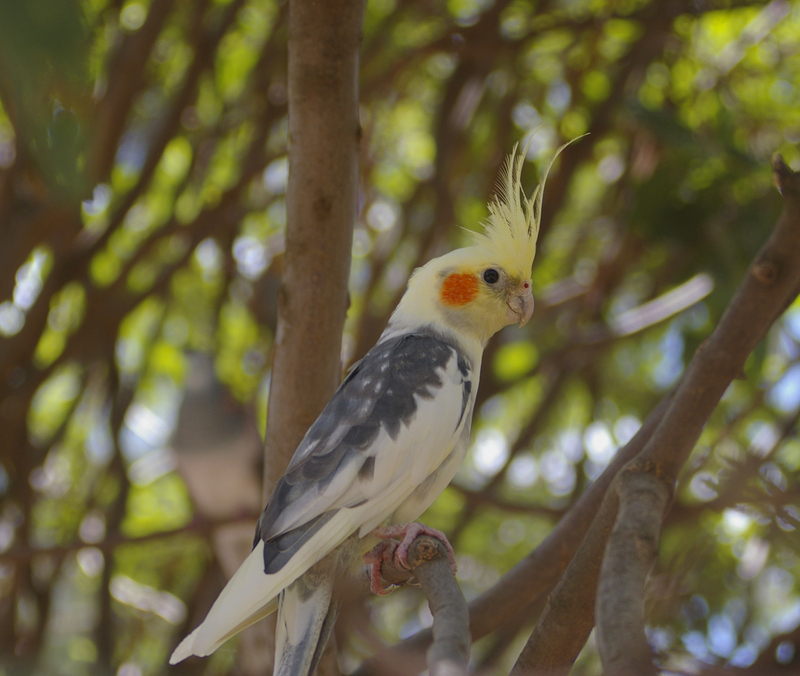 You can attract them with a fruit feeder, a bird bath and/or by planting berry bushes in your garden. If you provide them with fruit and water they will be a constant source of pleasure in your garden.